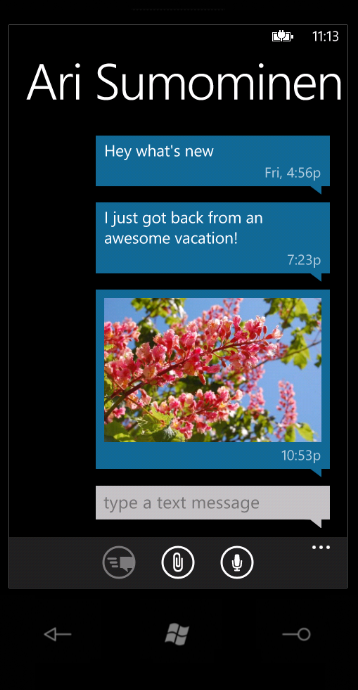 Michael Stroh, over at the Windows Phone Blog, has posted some information on the SkyDrive features coming with the Mango update later this year. 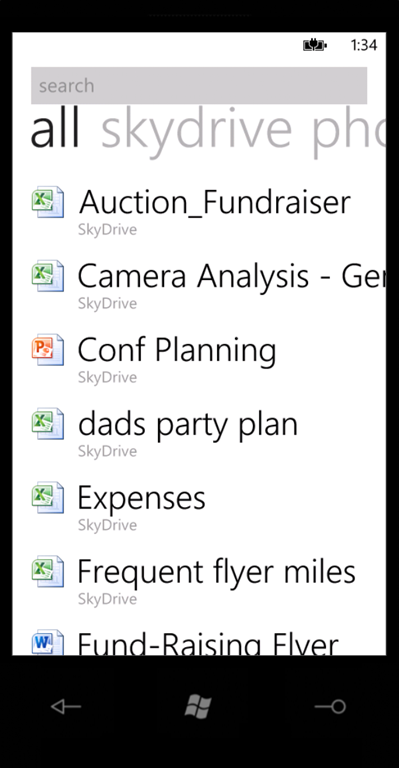 Stroh keeps the article short and simple, to satisfy those curious about exactly what will be coming to SkyDrive. Keep in mind SkyDrive will also fully support all the following Microsoft Office programs: Powerpoint, Word, Excel and the already supported OneNote in the Mango update this fall. That’s all fine and good but it would be nice if you can store music in Skydrive as cloud music since the largest GB of memory offered is 16. Nokia is bringing a 64GB unit this year, and you should see some 32GB units as well from either Nokia or other OEM’s trying to compete with them. I copied this information from Windows Live Blog, “Damaster”. S/he explains it well. Zune Pass vs. music streaming via SkyDrive. I think you have left out an important scenario in the cloud music space if Zune Pass is the only offering Microsoft has. I’m from Hong Kong but live in the US. I do have a Zune Pass subscription, as well as a Windows Phone 7. My scenario is that only 50% of the music I listen to is available on Zune Pass (English music). The other 50% is made up of Chinese, Korean and Japanese music, as well as other music not found in the Zune marketplace (such as those composed by my friends … etc.). While Zune Pass can satisfy my needs 50% of the time, a cloud music offering, possibly via SkyDrive, is needed to satisfy the other 50%. 1) Either expand Zune Pass to cover more music (incl. those in Asia), but that is costly with global licensing deals and going to take a loooong time. And there’ll always be gaps where Zune Pass does not cover. People are not willing to wait, they’ll just turn to iTunes instead. 2) Offer a personal cloud music storage solution, like Google or Amazon, using SkyDrive. This would be my preferred method. If WMP12 in Windows 7 already offers streaming music and videos over the internet, why can’t I do that over the cloud without having to have my Windows computer on at home the whole time? Don’t forget the ability to choose whether to save an attached document from an email to either your phone, or your Skydrive.